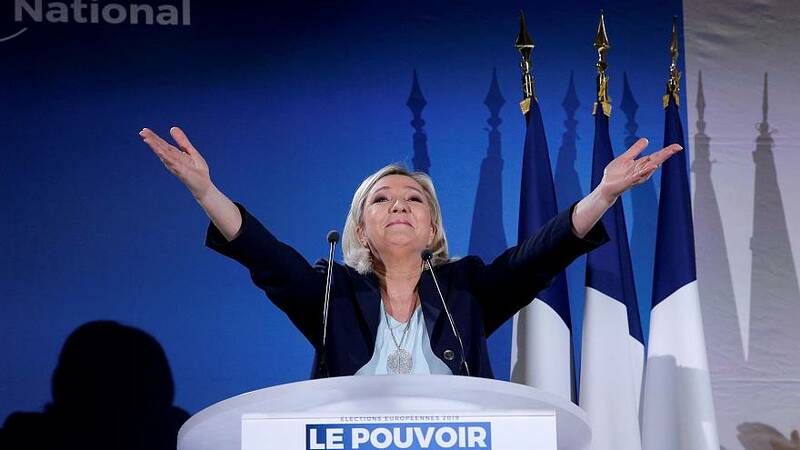 Marine Le Pen, President of France's National Rally, told Euronews she wanted her National Rally party to be "a very large group defending nations and opposing this European Union", which she considered to have "failed". Le Pen made the comments to Euronews' Sophie Claudet ahead of May's European Parliament elections. "It is absolutely necessary that Emmanuel Macron be defeated in what can be called the mid-terms", she said. Le Pen explained that if the French president lost the vote, it would send a message that he "cannot continue the second part of his mandate as he started the first", she said. Macron has been facing mounting pressure from the Gilets Jaunes (yellow vests) protest movement since it kicked-off in mid-November over the high cost of living and his pro-business reforms. Le Pen also told Euronews "to save Europe, you have to turn away from the European Union" and said cancelling the Schengen agreement, which allows free movement of EU citizens, stopping "unfair" international competition, and putting an end to free trade agreements, are "necessary to save our territory". You can watch the full interview on Euronews TV at 21:30 CET this Thursday on The Global Conversation.